Creation of this nature reserve was included into the "Plan for Implementing the Concept for the Development of Specially Protected Natural Areas of Federal Significance to 2020" (approved by Government Directive No. 2322-r of 22 December 2011) which has been hardly implemented by 20% (as of Dec 20, 2017) and that indicates deep crisis in national system of nature conservation in Russia. The more joyous is the protection of this great bog at the very end of the otherwise fruitless Year of Protected Areas declared in 2017 by President Putin. Boreal bogs are difficult nutrient-scarce natural environments and normally host limited number of highly adapted biological species. Nevertheless Vasyugansky Mire area provides a home for 242 plant species, 40 mammal species, 185 bird species, 5 amphibian and reptile species, and about 340 species of insects and at least 10 species of fish in the water bodies. Some species of plants and animals have protected status, for example, 41 species of animals and eight species of plants are in Russia’s Red Data Book and the Tomsk Region’s Red Data Book. Migrant birds flock to the area during their seasonal migration. The Great Vasyugansky Mire has been included on the preliminary list of UNESCO world natural heritage sites. Unfortunately, the new strict nature reserve protects only 11% of the Grand Vasyugansky Mire covering 5 million hectares, which is much less than optimal protection ratio for natural ecosystems (about 30% an average). 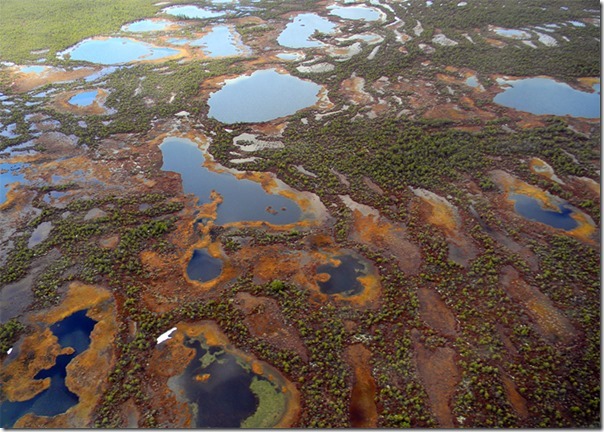 Still it is likely the largest nature reserve in Russian Federation protecting freshwater inland wetlands. Relatively small area of this nature reserve is also a surprise in the light of the accompanying statement of the Government: "The mire accumulates up to 10 million tons of carbon dioxide a year (by accumulating peat) and holds 400 cubic kilometers of fresh water; over 20 rivers flow from this area." 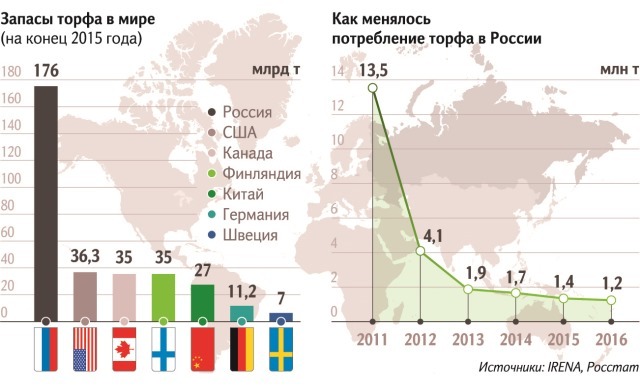 So, what is the fate of the unprotected 89% of Vasyugansky Mire and other Russian mires outside nature reserves? Thus the Government recognizes that mires are also important because of their capacity to accumulate most common of all greenhouse gases -carbon dioxide and sustain another important climate feature – stable natural water regime. And (lo and behold!) 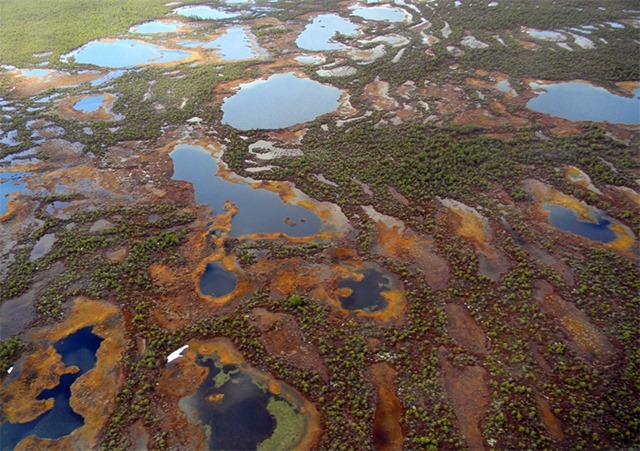 this quality of mires is rapidly self-expanding – the Vasyugansky Mire increased 4-fold just in last 500 years due to this process of carbon sequestration. These are ecosystem services important not only for regional population and economy, but also they may allow Russia to claim better standing vis-a-vis Paris agreement on fighting climate change. The greater area of mires you have protected the more carbon they store in peat- that is quite obvious, isn’t it? The government is preparing a proposal to incentivize the use of peat in the power industry, in a fashion similar to other renewable energy sources. Industry experts are confident that this is a promising area, since Russia has 35 percent of the global peat reserves. The Russian Ministry of Energy works to list peat as approved renewable energy source . Presently peat-based electricity generation is not covered by a governmental program to support the construction of “green” power plants. IN addition to destroying precious natural mires (that are also effective carbon sinks), the burning of peat creates little heat and huge amount of toxic pollutants. Now Russian officials appeal to "European norms" and "UN-standards" to revive this extremely harmful and quite unpromising branch of energy sector as "green industry". We wish Russian Government lots of common sense, consistency and protected peat mires in the coming New Year!! !